Indianapolis - Dorothy Mae Teepe, 75, passed away Tuesday, November 6, 2018, at her residence with her loving family by her side. Dorothy was born September 14, 1943 in Indianapolis, IN to the late Morris and Flora Welch. She was a wonderful wife, mother, grandmother, sister and aunt. Dorothy was loved by many and will be dearly missed. She loved being on Facebook, playing Sorry and watching her soap operas, but more than anything else, she enjoyed being with her family and friends. Dorothy was preceded in death by her parents and her daughter, Donna (Greene) Teepe. She is survived by her beloved husband of 60 years, Donald Teepe, Sr.; children and their spouses, Donnie and Brenda Teepe, Danny Teepe, Theresa Pierce and Speedy and Tabitha Teepe; 13 grandchildren; 24 great grandchildren; and many other loving family members and friends. 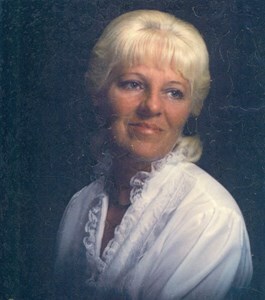 Dorothy’s family will receive friends Tuesday, November 13, 2018, from 12-2 pm at Newcomer Cremations, Funerals & Receptions, 925 East Hanna Avenue, Indianapolis, IN 46227. A celebration of her life will follow at 2pm at the funeral home. If you would like to share a memory of Dorothy or a special message with her family, please click the “Share Memories” icon above. Add your memories to the guest book of Dorothy Teepe. My heartfelt sympathy to your family for the loss of your loved one.As you cope with your loss,may God's Words at Numbers 23:19 continue to comfort and support you. Close and love each other. We pray, as well, for your peace, courage and strength. All our love, uncle Jimmy and Doreen. Grandma I love you and truly going to miss you! Going to miss Thanksgiving at your home, u sitting at your kitchen table smiling! Glad u r in no more pain give my mommy a hug for me! Sending so much love to the entire Teepe family...The strength of the Teepe family will come together now in this time and I know each and every one of you will hold each other togetherand tightly. Your family is a great one. Sorry I will not be able to make it I have to work, I truely wish I could get the day off. Please enjoy the flowers and know that love and thoughts are sent your way!